Elspeth Robinson, a retired physiotherapist, set up the Kumi Community Fund. 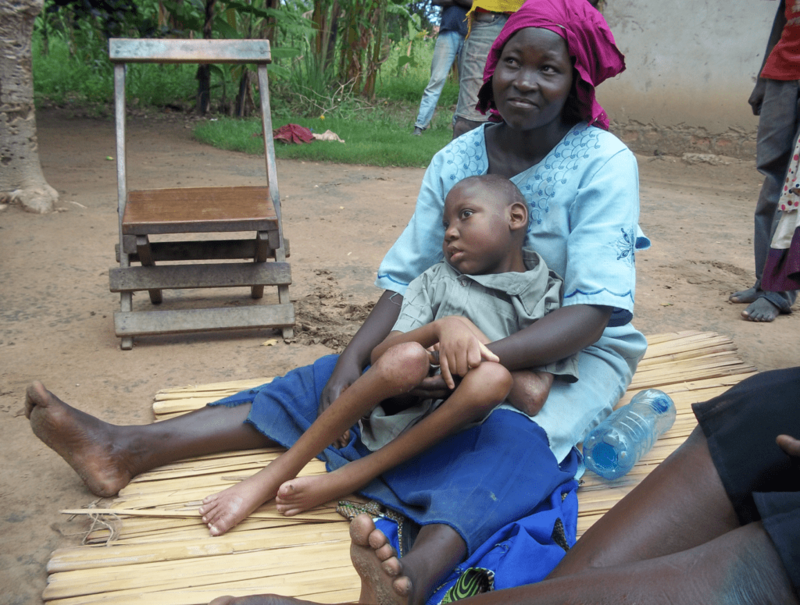 The fund pays for staff, based at Kumi Hospital in Uganda, to identify and provide therapy and aids such as walking frames and wheelchairs for disabled children like the 12 year old boy pictured. Eslpeth visits twice a year for 6 weeks at a time and oversees the work. One of our church members is the Secretary of Interplast UK , which runs two-week long surgical missions in countries such as Uganda, India and Pakistan. Medical staff are all volunteers. They take their own medical supplies and work along-side local staff. This work alleviates the pain, disfigurement and disability caused by cleft lip/palate, burns and other conditions. Church members send toys for children and gifts for patients and staff.